Meet artist Brandt Peters as he signs and celebrates the release of his sinister 6.5-inch Dead Bunny! Limited to 200 worldwide, Dead Bunny is ringmaster of the twisted carnival that has mysteriously appeared in your town. This creature has no soul but he’ll gladly take yours. 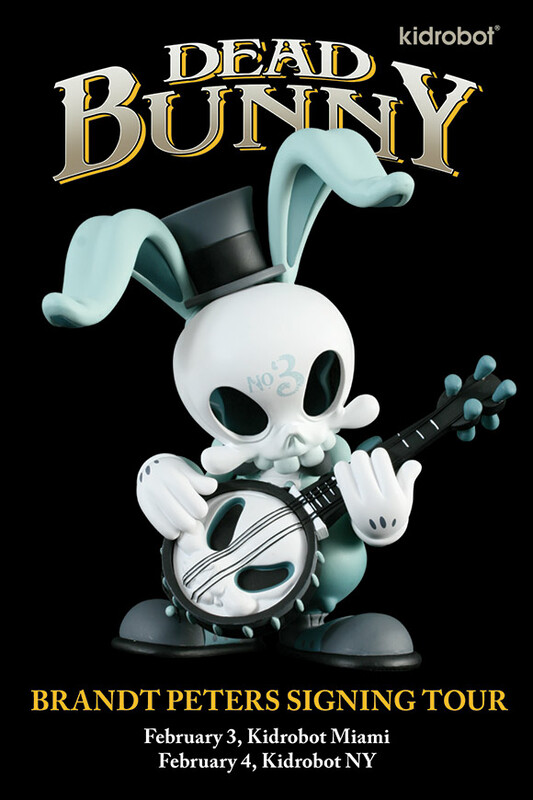 Dead Bunny will be available at all Kidrobot stores and kidrobot.com on Thursday, February 4.